With the advent of new preschool programs popping up in big cities all over the country, new parents are asking each other the same thing- is it worth it? Multiple studies affirm the benefits of preschool for children. However, children are not alone in this; the entire family can benefit from preschool. Let’s take a look at some of the benefits you receive when you enroll your three-year-old in preschool. As a parent, you want to prepare your child for the academic success you know they can achieve. Many parents and teachers agree that enrolling children in a preschool program at three, helps them perform better once they reach elementary school. By enrolling them in preschool, you’re providing your child with a foundation for learning that they’ll carry with them throughout their school career. It’s common knowledge that three-year-old children need help developing social skills. Preschool is often the first time that children interact with other children outside of their own family. Why not introduce your child to the world around them in an environment that is gentle and welcoming? Preschool strengthens a child’s emotional intelligence, so they are better able to cope with stressful situations and manage their negative responses. Your child learns more than just their ABCs and 123s, they also make friends and learn important social cues such as sharing and personal space. At the age of three, your child’s brain is like a sponge, ready to soak up every ounce of knowledge. You want to allow your child room to explore the world around them. It’s at this age, that they begin to question everything. Like why the sky is blue, and why the birds fly south for the winter. They want to know where the sun goes at the end of the day, and why it rises in the morning. Beginning preschool at the age of three improves your child’s ability to absorb this information. Enrolling your three-year-old in preschool gives them a safe and secure environment where they can feel free to learn and grow. For example, preschools often teach the basics of personal safety, such as what to do in a fire or when approaching a stranger. Additionally, most preschool curriculum typically promotes healthy habits such as brushing one’s teeth or washing one’s hands after playing outside. Your toddler isn’t the only one who benefits from spending time in preschool. You probably catch yourself daydreaming about what life was like before children or wondering if you’ll ever get another minute alone to pursue your passion or career. Enrolling your child in a preschool program gives you more time to do the other things you love. Imagine returning to your job without worrying about your child’s well-being. Write the book you’ve always wanted to, finish getting that degree, or simply enjoy a nice cup of coffee with friends. 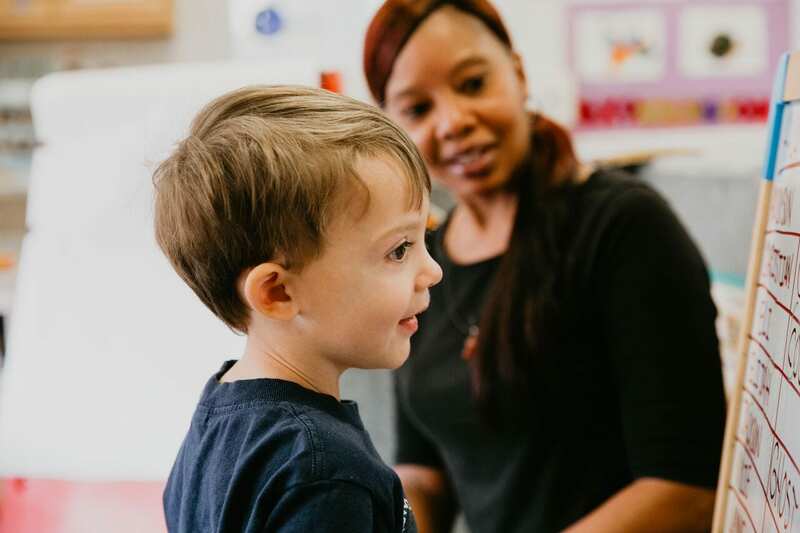 Even though you are not with your three-year-old all day, preschool still helps you connect with your child. Although they might be intimidated at first, your child will soon realize that preschool is fun. As a result, they begin to bring that fun home with them. The stories they tell, the crafts they make, and knowledge they share help you communicate with your child in new and exciting ways. Don’t let the number of preschools overwhelm you or keep you from enrolling your three-year-old. At this age, learning is a vital part of their growing. There are numerous benefits associated with preschool, and knowledge is the most important one. It’s also key to remember that social development and a head start on education have lasting implications. Enroll your child today.